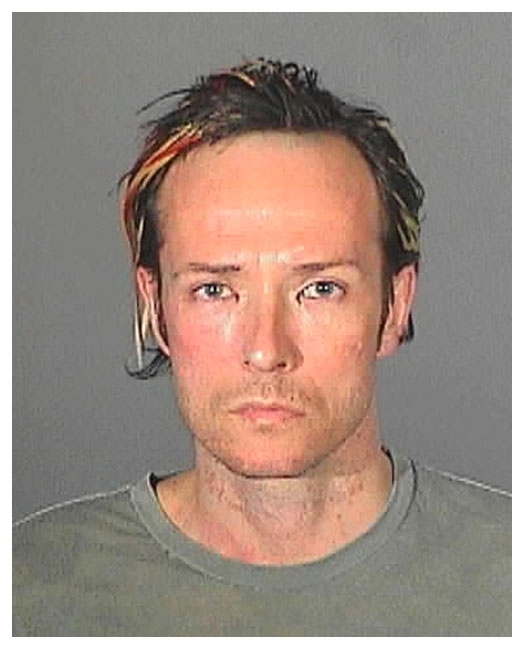 Stone Temple Pilots lead singer Scott Weiland posed for the above mug shot in May 2008 after the singer surrendered to the Los Angeles County Sheriff's Department to begin serving eight days in jail for a DUI conviction. The musician, 40, was released after spending a few hours in custody. In addition to his time in the Los Angeles lockup, Weiland was placed on four years probation, ordered to enroll in an 18-month alcohol education program, and fined about $2000.